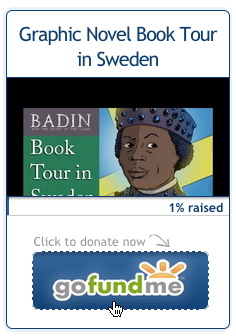 I have set a goal to have Badin and the Secret of the Saami finished by February 2016. 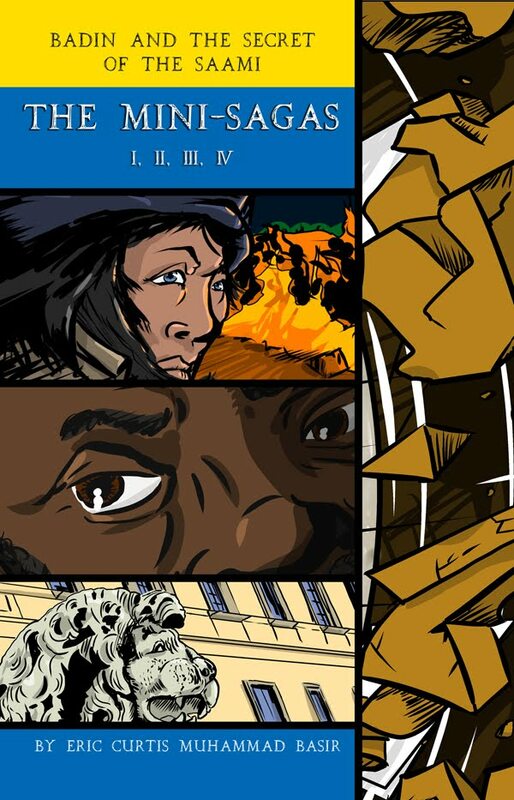 Now that my Kickstarter project to translate Badin's diary is complete, I can put more time into the graphic novel. My intention is to have the regular edition on hand for a very popular convention called C2E2 in March 2016. Will it really happen? The convention will surely happen. 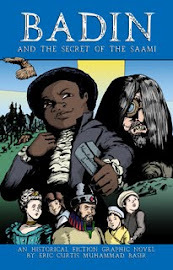 However, will I have a supply of this graphic novel ready for March? I really do not know. I do know that I need to keep myself motivated and the pre-visualization of seeing myself at an exhibition booth or sharing a copy with an agent is important at this stage. As you can see at left, I am starting to color the model sheets. This is an abstract of a minor character in the story. In the ink layers of the Manga Studio files, I've learned from some mistakes with painting white—as opposed to erasing or painting in transparent mode. Using white makes it very difficult to color underneath the ink layer. With this new deadline, the pressure—and excitement—is ascending to new heights.